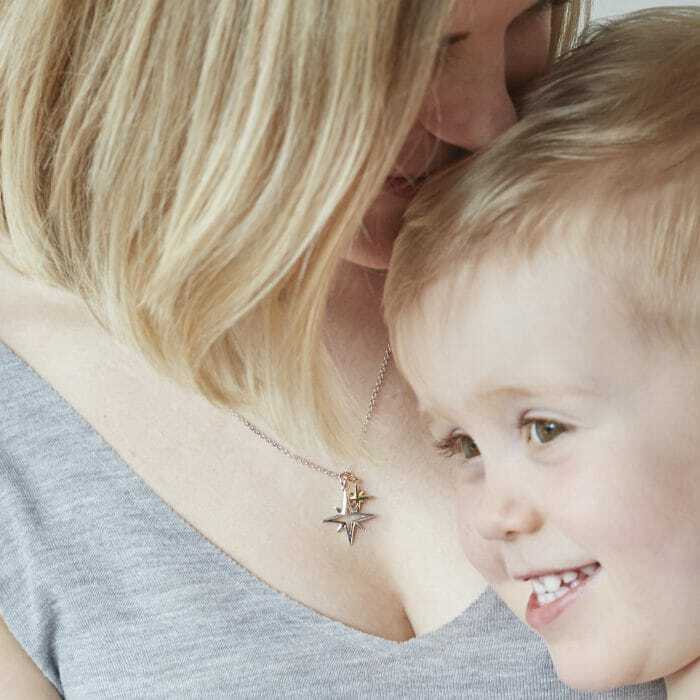 Celebrate a mum to be with a unique and meaningful jewellery gift! Whether it’s for a close friend who’s nearing her due date or someone that has just announced their good news, all mums to be deserve a special treat. All of our jewellery designs are imbued with meaning and are the perfect sentiment for a unique mum to be gift. 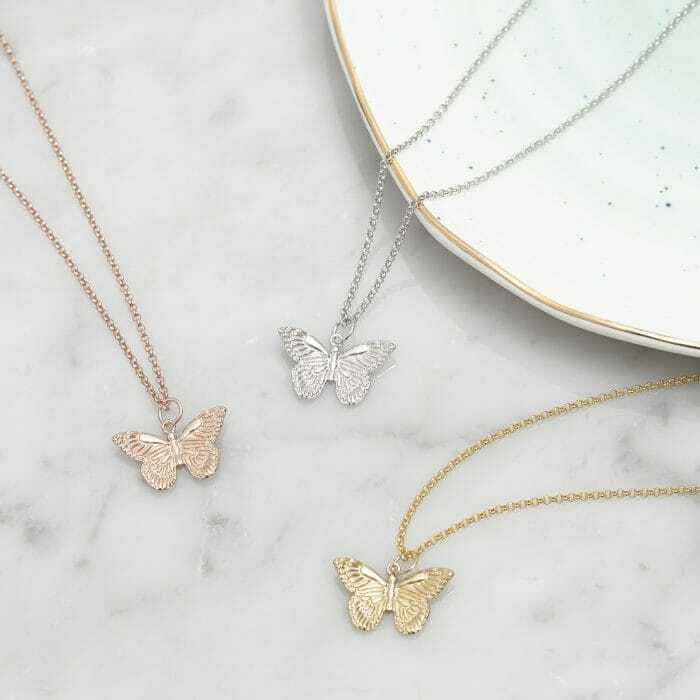 Each piece is hand crafted in sterling silver, gold vermeil or rose gold vermeil, giving you inspiring jewellery creations that are as unique and special as you are. This designer jewellery creation is one our most iconic pieces that celebrates the bond and everlasting love between a mother and her child, making it the perfect gift for a mum to be. This inspiring silver necklace features two star charms that represent a mother and her child. 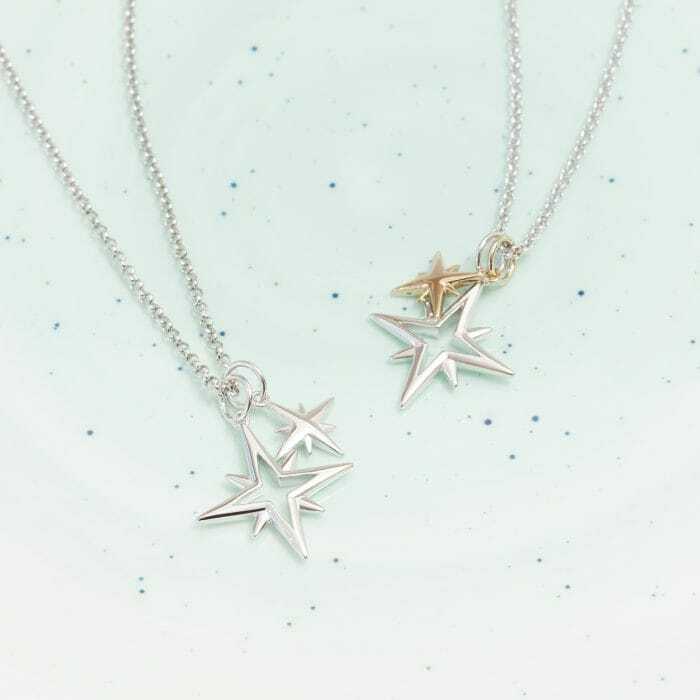 The two star pendants move independently but hang beautifully on the same sterling silver chain. More tiny stars can be added for every new addition to the family. We love the sentiment behind this special gift which comes complete with a mother and child meaning card that details the symbolism of the two stars. You can even choose from a selection of chain lengths to find the perfect fit for the expectant recipient! Having a new baby is all about starting an exciting new adventure in life, so our acorn talisman for new beginnings is the perfect sentiment to celebrate a new birth. The acorn also represents prosperity and is thought to promote good fortune on your new journey. Our meaningful acorn necklace in sterling silver, gold or rose gold vermeil makes a thoughtful sentiment for an unusual mum to be gift. As the saying goes “mighty oaks from acorns grow”, this necklace is not only sentimental, but can be worn for years to come as their child grows. This meaningful mum to be bracelet says it all. It features our purity mandala motif in gold vermeil and represents health and happiness. 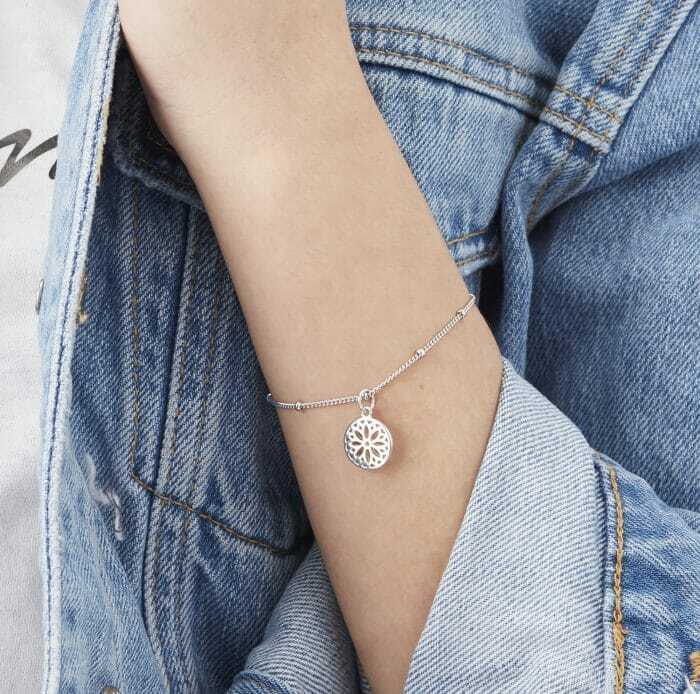 The delicate gold bracelet charm comes on an intricate bead chain with an adjustable fastening to fit your wrist perfectly. This much loved design is the perfect good luck gift to show your love and send positivity and best wishes at the same time! Celebrate the birth of a new child with these meaningful mother and child studs. 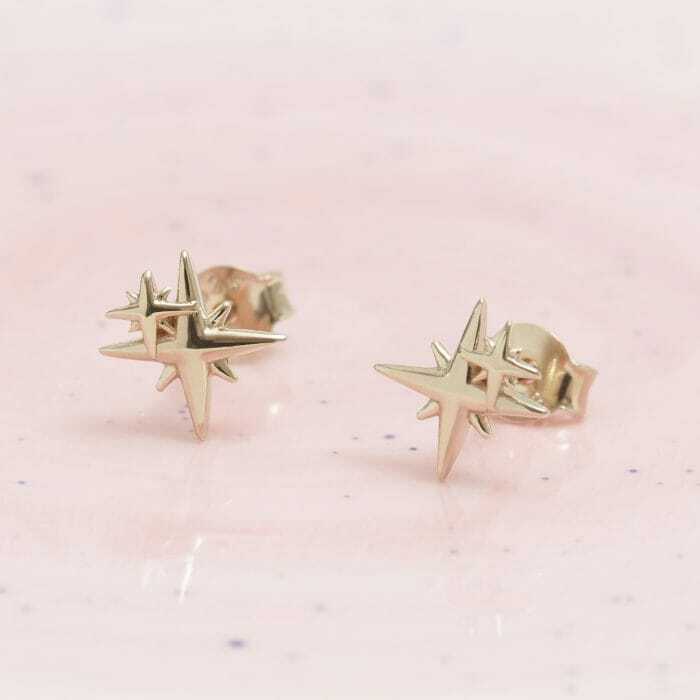 These intricate stud earrings are available in silver, gold or rose gold and are perfect for the mums who like to keep their jewellery minimal. She’ll love the sentiment behind these unusual earrings which come in a gorgeous gift box with a card that explains the story behind the mother and child collection. The butterfly is a talisman for transformation and beauty and represents growth and new beginnings. The butterfly emerges with great beauty from its chrysalis so is a powerful symbol of life, just like a new baby. This classic design is available in a choice of 3 chain lengths and will soon become your expecting loved one’s go to necklace for everyday wear. 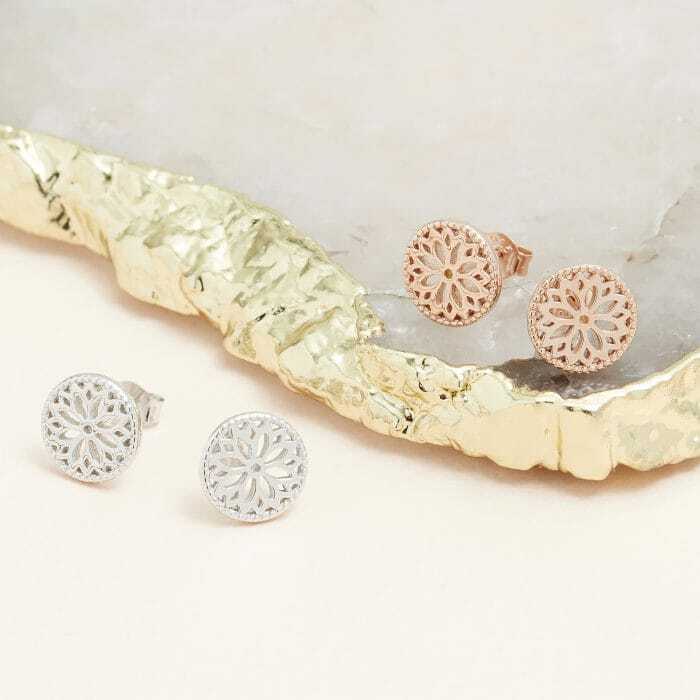 Our purity mandala studs are the perfect sentiment to celebrate an imminent new arrival because they represent health and happiness for the child, as well as unity and harmony for the mother. Like a new born baby, great things come in small packages and these hand crafted silver earrings come beautifully presented in a luxury gift box with ribbon! All of our designer jewellery is designed in the UK at our North London studio. We have been designing feel good jewellery for over 10 years, giving you unique jewellery creations that are perfect for everyday and make an unusual and thoughtful jewellery gift. For more inspiring gift ideas, view our complete collection of mum to be gifts, our mother and child collection or gifts for new mums.